General color charts comes handy in any designing, color selecting or even knowledge gaining purposes for artists, web designers, fashion designers, painters etc. A general color chart can be of many types and categories like a color wheel chart type can include RGB, CMYK or basically any other colors that the user might want to pick.Thus we have a huge collection of general Color Chart Templates that will not only help you choosing complementary colors but also guide you with learning more about mixing colors and creating your own charts with proper instructions included in them. So download our free samples now! 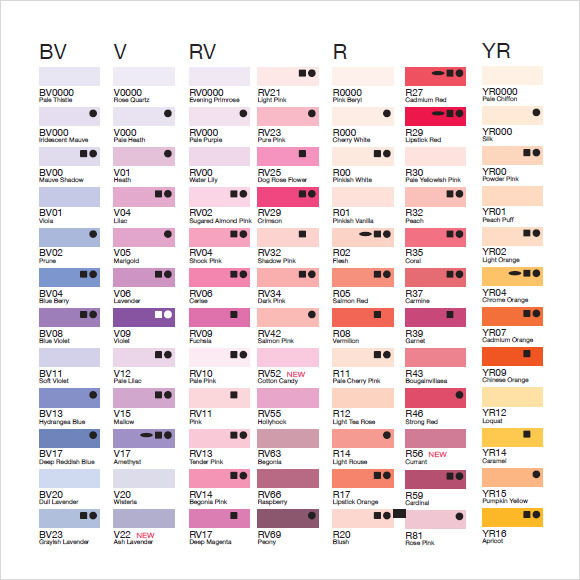 This sample general color chart depicts a total of 15 color samples. Each of these color samples has been created in PMS and CMYK format and is in accordance with the Australian standard for plastic materials. These colors boats of excellent heat stability, weather adaptability, light fastness and stability. 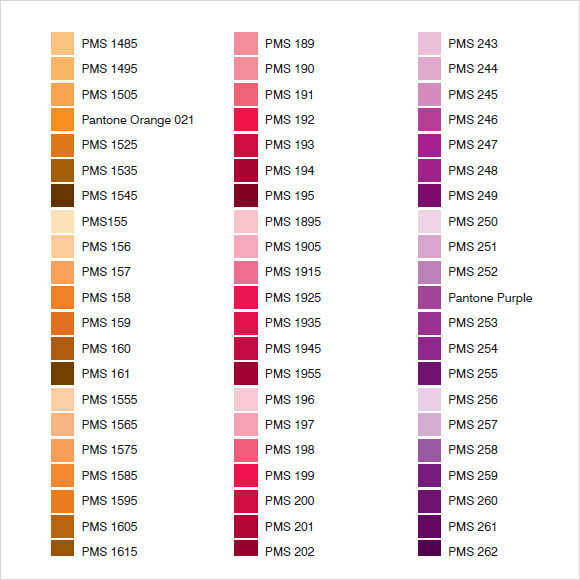 This sample of standard color chart consisting of 9 basic colors, which have matte and muted shades. These samples are meant for the purpose of floor coating. A test patch coating is recommended before buying the final sample as results can vary depending upon a large number of circumstances. The company also offers customized colors on special request. 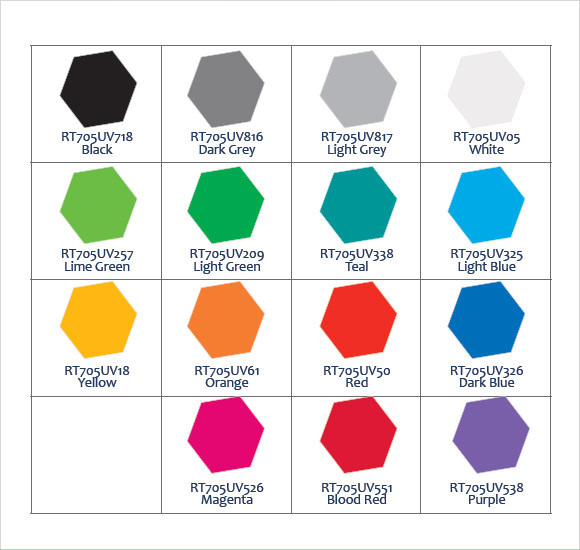 This sample of general color chart offers a wide variety of color variants ranging from muted soft tones to bright and high –tech colors in every shade. These colors are meant to be used as acrylic paint on furniture’s. You can mix these colors to form a totally different color of your own choice for the purpose of repurposing your furniture. 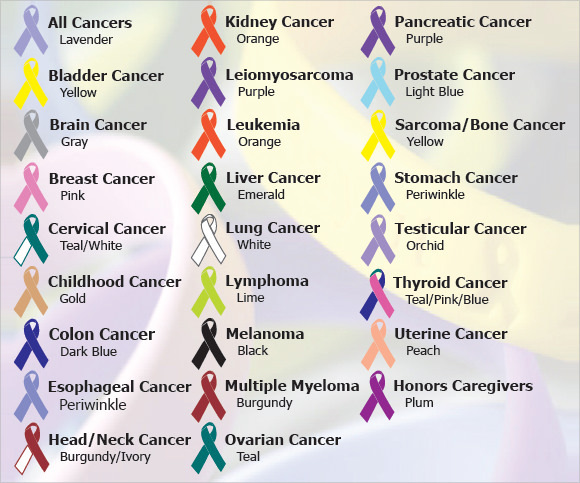 This sample of general cancer color chart depicts a series of different color ribbon representing a different type of cancer commonly found in humans. You can use this chart as a reference guide for creating or ordering a special type of ribbon to create awareness about a special type of cancer. 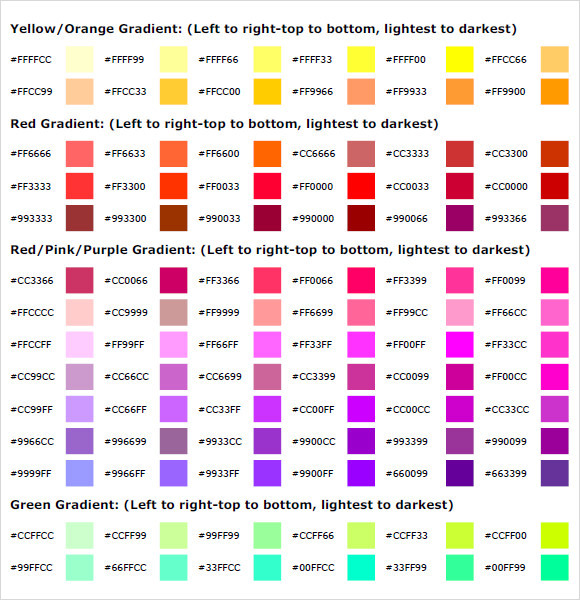 What Are Some Of The Rules To Be Followed Before Creating A Color Chart? When you create a color chart, make sure the color of the background is in monochromatic color. It helps the colors to stand out and provides an element of contrast. Group colors having a particular shade under one column or row. It makes the process of choosing easier. 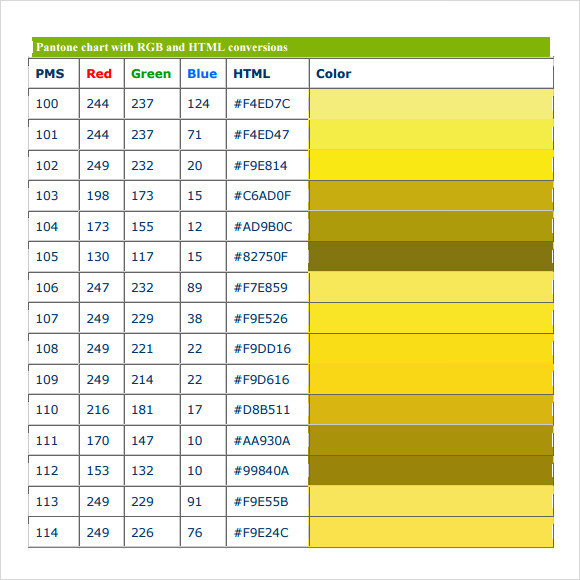 While creating a color swatch, keep in mind that there are some people who are color and in order to make sure they can make out the difference avoid using green and red close by.You can also see Sample Chore Charts. 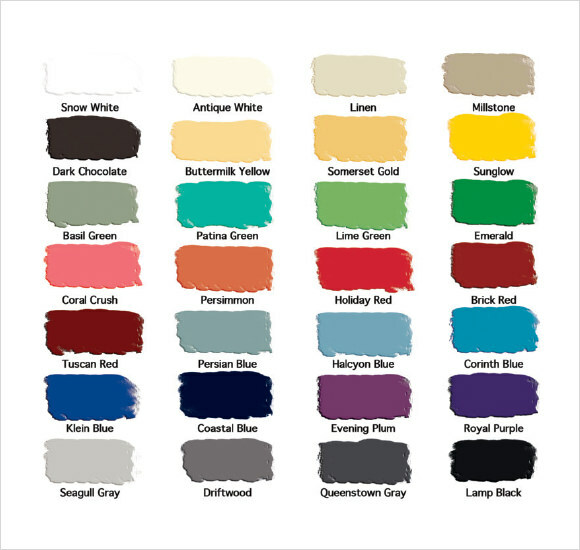 How to Use a Color Chart for Painting a House? Painting is a serious job and once done, reversing it is not easy. 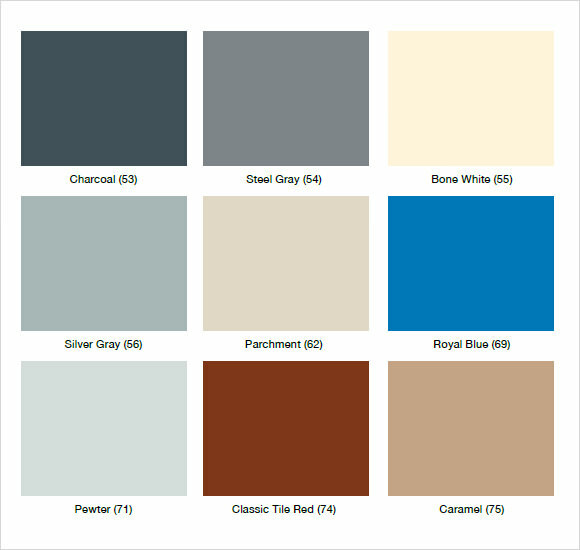 Before you decide on a final color to paint your rooms visit the store and ask for deck of color. Hold each color against the wall of your room under all types of lightening conditions like bright natural light to dim reading light. Narrow your choice to one or two variants and then proceed to ask for a small sample of color from the store and apply it on your wall. Live with the sample painting for a few days so that you can test them under every situation before making a final choice. How Color Pallets Are Currently Created? Color pallets are currently created using three different types of color shades, namely bright, monochromatic and pastel. The pastel colors usually cater to muted shades which have become very popular after the emergence of flat design. Bright colors are the ones which stand out in the color palette. Monochromatic colors have hues of black, grey, red and brown undertones and convey an emotional or psychological message. Color pastels come in various size and variations depending upon the company who manufactures them. If you are looking for some unique designs to showcase your huge array of color options, the designs provided by us can help you in getting creative in a big way.You can also see Blank Organizational Charts.